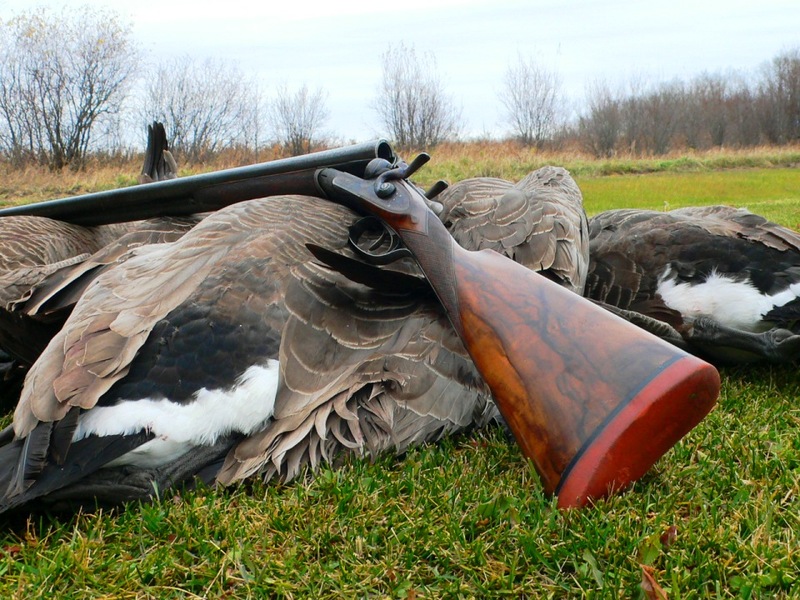 Mention James Purdey, and many sportsmen think of Lord Ripon with a brace of hammer ejectors on the Glorious 12th or George Bird Evans hunting ruffed grouse with his Beesley-actioned sidelock and Old Hemlock setters, or high pheasants with a Woodward-style over/under. What we seldom think of are those guns made for presentation to royalty or show guns built for display at international expositions. 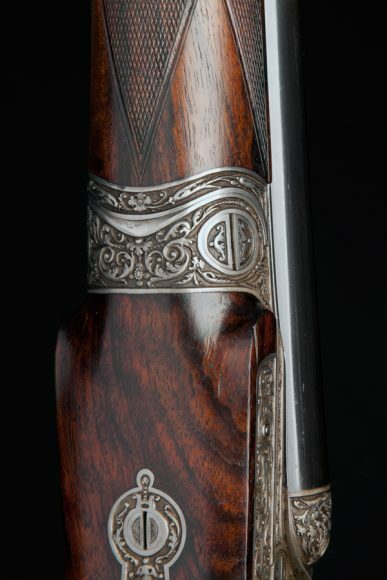 Yet Purdey also made those—and many consider them the best “best” guns the firm ever produced. 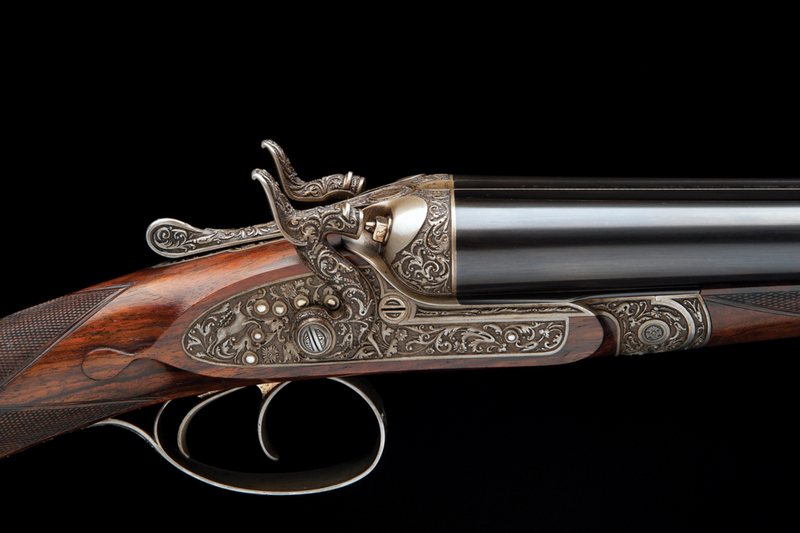 The early breechloaders in particular are spectacular, but the man who engraved them has, until now, remained a mystery. 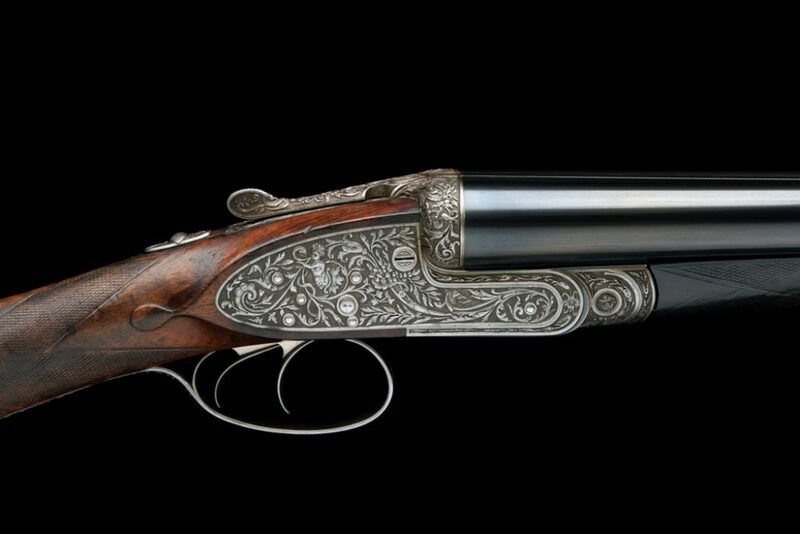 Starting in the 1870s James Purdey the Younger commissioned Aristide Barré, a Frenchman exiled in London, to decorate a small number of very special firearms. According to official Purdey historian David Maynard, “Barré is the only engraver mentioned in the Purdey dimension books until recent times,” yet you would search in vain for his name in “the definitive history” in any other book on Purdey. The British gun trade is littered with mysteries, but Barré has long presented a more enduring enigma. In correspondence with another gun researcher in Britain, I was told that the name “Barré” does not exist in the census returns from the late 1800s anywhere in Great Britain. 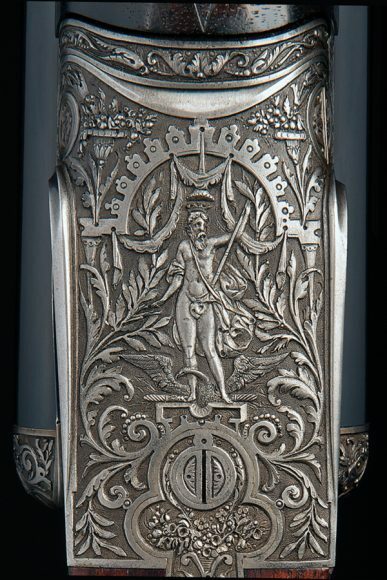 The engraving on gun No. 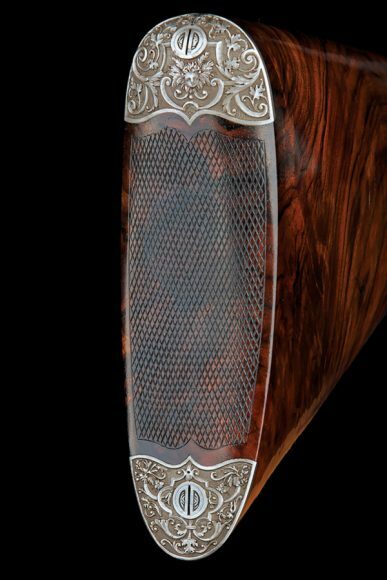 11,769 was “finely chased by Barré” and may have provided the inspiration for Purdey’s “Extra Finish” pattern. Armed with beaucoup spellings of “Barré” and the information that the name did not appear in census returns, I set out to discover as much as I could about the engraver and his œuvre. But first I solicited the help of Parisian gun expert Djamel Talha. This is what we found. Magloire Aristide Barré was born October 23, 1840, to a wheelwright in Trappes, a rustic village just west of Paris. He was brought up in relative isolation, his family unsophisticated, his life unpromising and his future uncertain. Barré’s childhood would have been etched by privations and class conflict, and when in September 1871 Trappes was occupied by 1,400 invading Prussians, Barré could not have been happy. But how he came to be chief of police during the Paris Commune no one knows. Purdey hammergun No. 9,563 features a high-relief design of trailing flowers and fruit. The registers say the work was done by “Barre”. My father asks me to tell you that an engraver is wanted, and that if you apply as soon as possible, you will obtain employment. You should go to R. Harper and Son, 16 Red Lion Street, Clerkenwell, and say you have been sent by Mr. Oswald of 39 Gloucester Crescent. Clerkenwell, now as then, is a hub for engraving ateliers. No evidence has surfaced to suggest Barré got the job with Robert Harper, but he did work for Hunt & Roskell (silversmiths and jewelers to Queen Victoria), also located in Clerkenwell. The time Barré spent in Clerkenwell would encompass his most prolific years. When in 1875 he exhibited a painting at the Royal Academy in Piccadilly, he gave his address as “4 Spur Street, Leicester Square,” but in 1875 this address was the premises of Albert Unwin, whose contemporary advertisements offered “Arms, crests, monograms and address dies engraved as works of art.” It was clearly an address through which Barré could be contacted rather than his residence, and it is likely that he lived a peripatetic life in London. Purdey No. 12,177 was embellished with mythical figures and foliage. In an earlier era French artists such as Bérain, Simonin and Demarteau had produced pattern books featuring plates illustrating ornamentation intended for the metalwork of firearms. But with the exception of his inclusion of grotesques, Barré makes no reference to them in his work. His ornamentation appears broadly lifted from the decorative vocabulary of his era using similar motifs to those seen on contemporary silverware. At the heart of this country home is a gunroom said to contain shotguns by London’s finest makers currently shot by Her Majesty The Queen, The Prince of Wales and others of the Royal Family. The gunroom lobby, which is open to the public, features more than 80 mostly vintage guns and double rifles by makers including W.W. Greener, James Purdey and John Rigby as well as lever-action Winchesters and Colt revolvers presented to the Royals over the years. A catalog of highlights exists in the form of the book The Royal Gunroom at Sandringham, by David Baker, who in the late 1980s was permitted full access to select, photograph and describe the guns of his choice. The glossy volume features 75 examples of the world’s most collectible firearms. 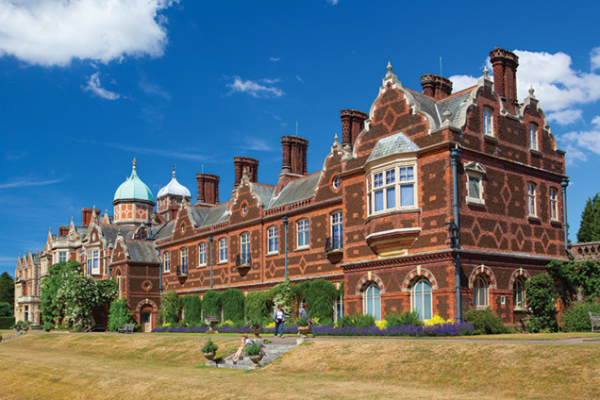 Click here for more information on visiting Sandringham. 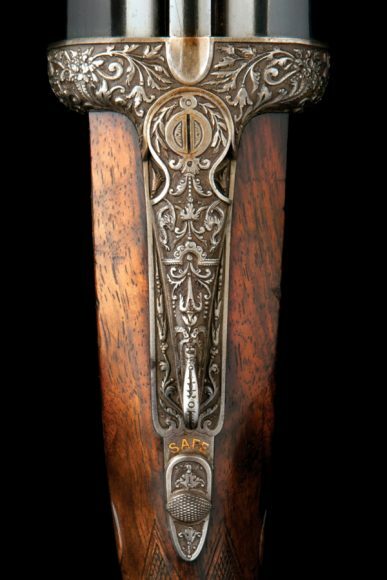 Both of the Baron Keane guns attributed to Barré in the Sandringham book were bequeathed to King Edward VII in 1901 by the third Baron Keane. Strangely, there is another gun, No. 11,769, in the book that looks suspiciously like Barré’s work, though Baker makes no mention of the engraver. However, George Juer at Purdey’s was able to confirm that the dimension books say of gun No. 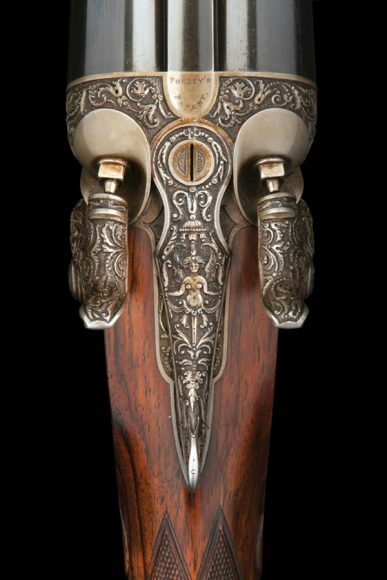 11,769: “All work finely chased by Barré.” The engraving on this gun, which was made as a present for Prince Albert Victor, may have provided the inspiration for Purdey’s “Extra Finish” pattern, available to this day. It is possible that Barré came to Purdey’s attention through Lord Keane, who was savvy enough to see the engraver’s potential in the production of a tour de force. 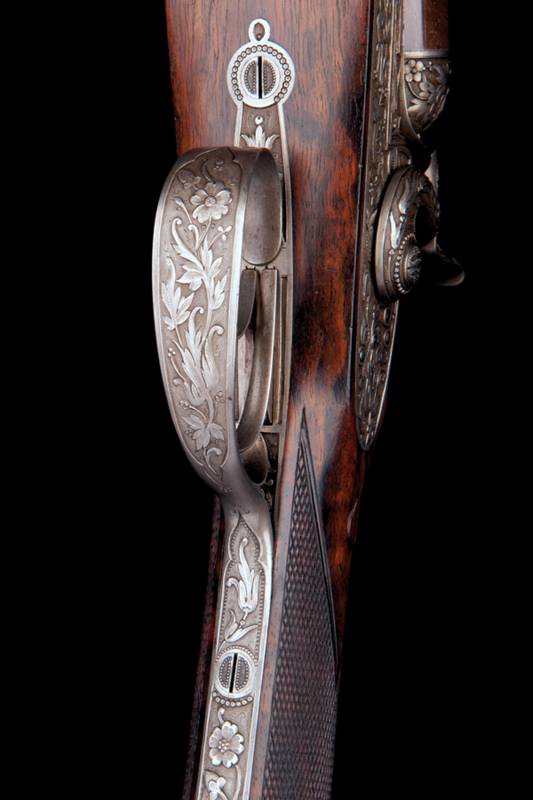 In 1878 Purdey submitted a brace of Barré-engraved 20-bores—Serial Nos. 10,140 and 10,141—to the Paris Exhibition that are virtually identical to the first Sandringham gun. 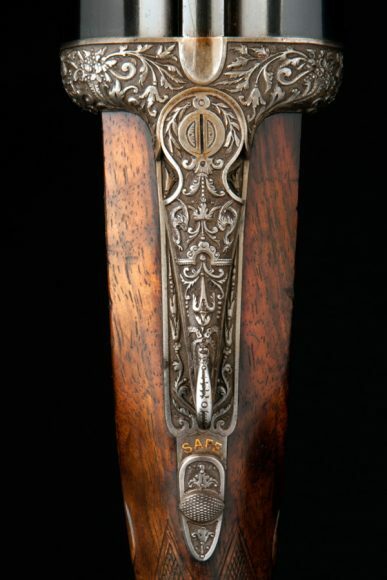 Barré would go on to engrave a modern hammerless ejector presentation Purdey for the Shah of Persia and a hammer pigeon gun for King Alfonso XIII of Spain. 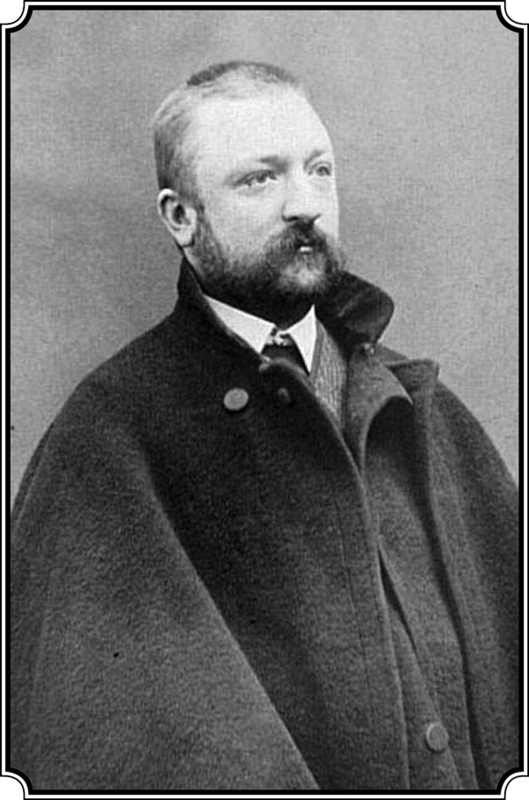 Barré died on May 21, 1915, in the presence of his son (also named Aristide). 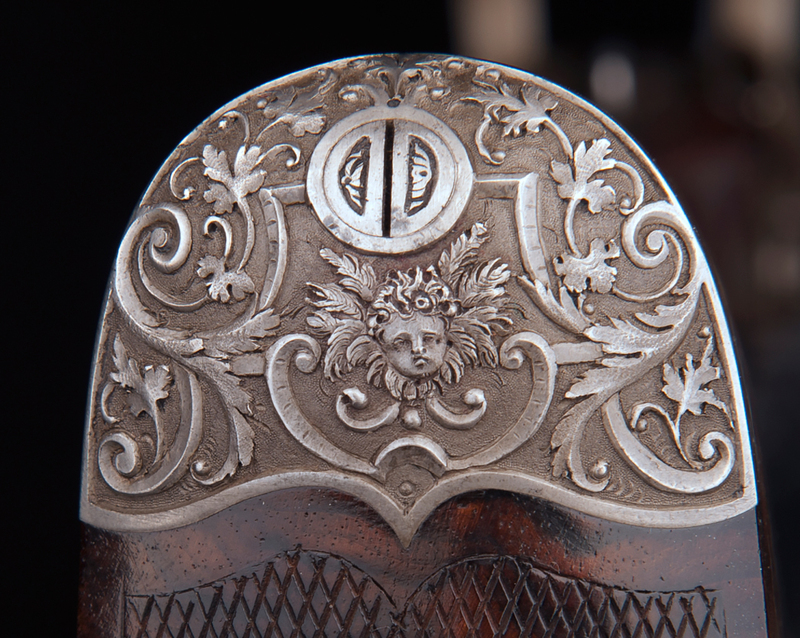 In certain circles of gun experts, collectors and craftsmen, Barré’s name continues to resonate. English engraver Ken Hunt has said that when he first started working with Harry Kell, Purdey’s would ask if a gun could be engraved in the Barré style and Kell would answer, “Yes.” Over time some of these Kell-engraved Purdeys have come to light, with the difference being that Barré’s “mythical beasts” have been replaced with gamebirds. 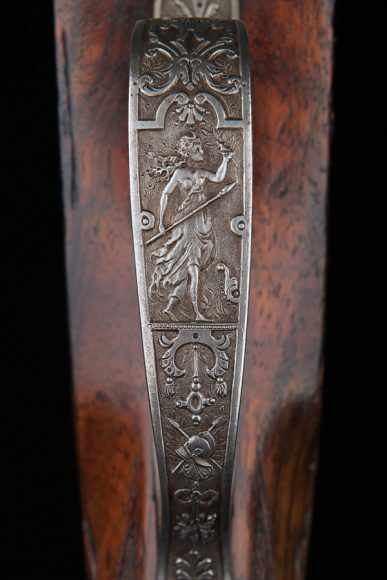 Hunt, too, has engraved Purdeys in a style not dissimilar to Barré’s. 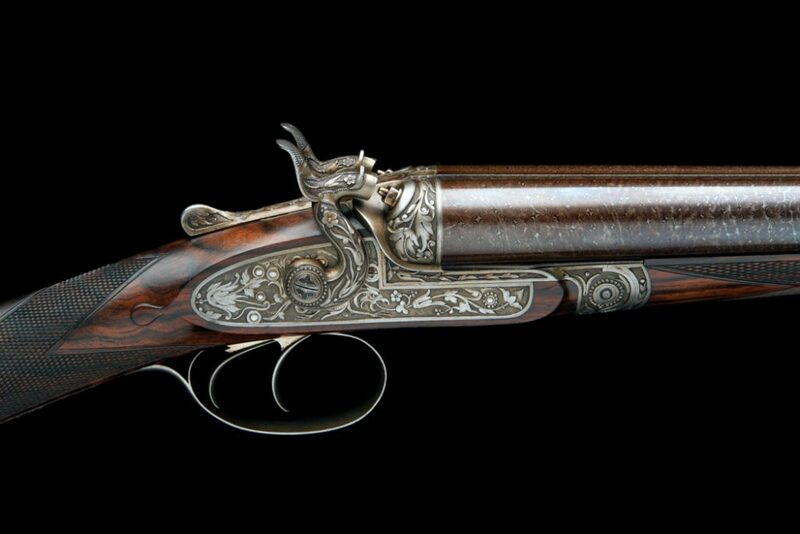 Craft always has been art’s poor relation, but because an untenable struggle made painting and sculpting impossible in his home country, Aristide Barré carved out a niche in London as the engraver of some of the finest British guns ever made. 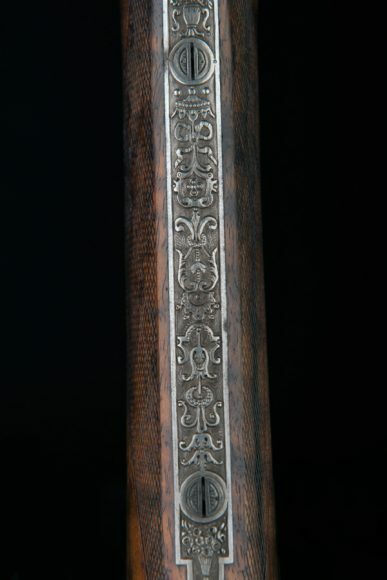 He was a late example of a French artist who developed patterns specifically for gun engraving and an early example of a British “name” engraver. 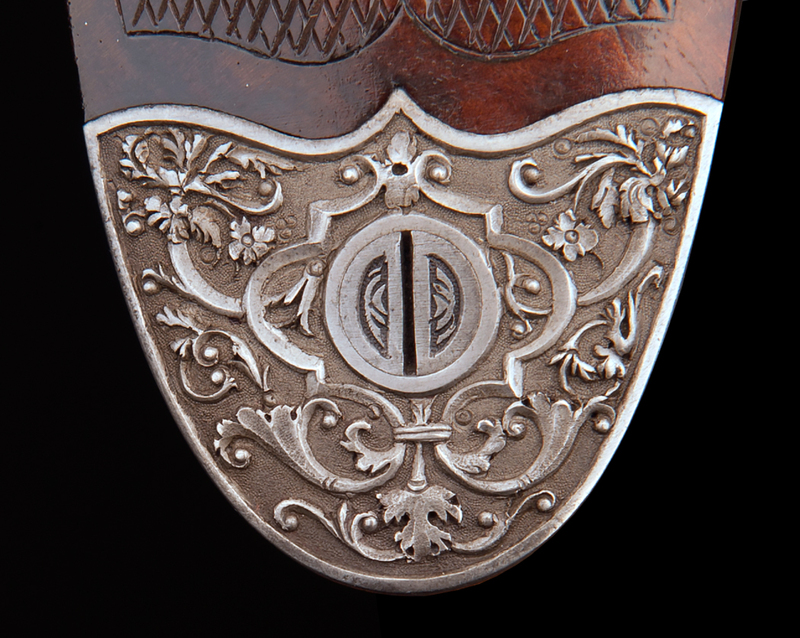 As historian David Maynard has suggested, Barré was the “first” amongst Purdey engravers. The images reproduced here are by gracious permission of Her Majesty Queen Elizabeth II, who allowed us to photograph her guns. Thanks to Andrew Orr of Holt’s Auctioneers for taking the photographs. Special thanks also to Djamel Talha, George Juer and Ron Holden for their assistance in researching this article.